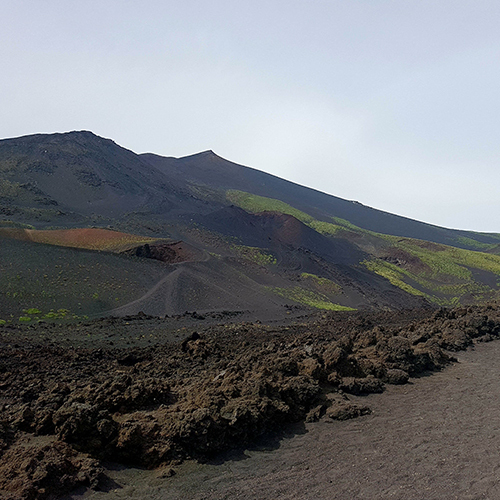 The Silvestri craters are a group of craters belonging to the 1892 eruption, 2000 m a.s.l.. Their amazing colors from red to green to brown to yellow and white project guests on a lunar soil. Easy to walk for kids too. 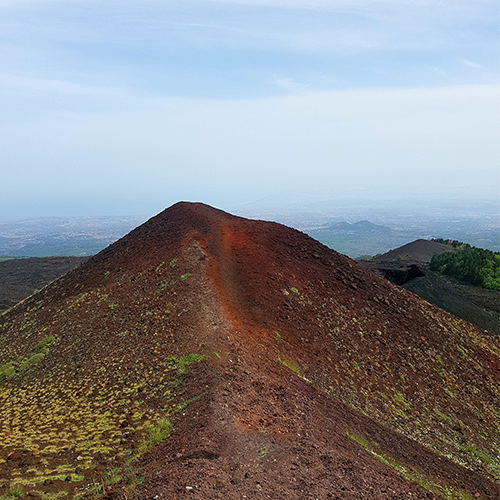 Close to it there are the 2001 eruption craters from where to admire the Etna landscape closer. Best at sunset. Then lava caves are an experience to feel inside and under a volcano, to imagine the power of lava and the magic of chemistry. This path takes its name from its profile which resembles the back of a donkey. It stars from 1800 m a.s.l. 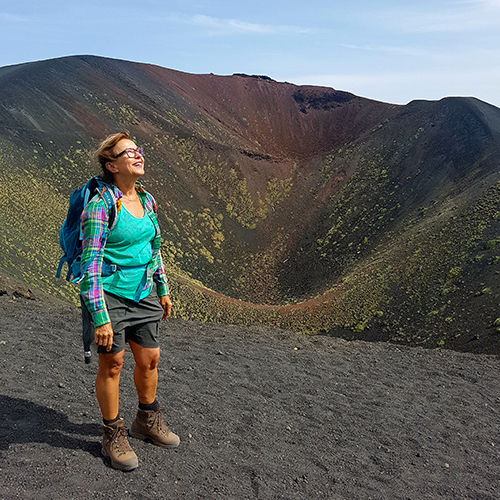 up to 2000/2200 meters facing the Ox Valley or Valle del Bove, a huge depression formed 14000 years ago when Etna collapsed from 4000 meters to today’s 3300. Capturing landscapes and lava formations characterize this path which is also good for kids to walk. Lava caves are an experience to feel inside and under a volcano, to imagine the power of lava and the magic of chemistry.